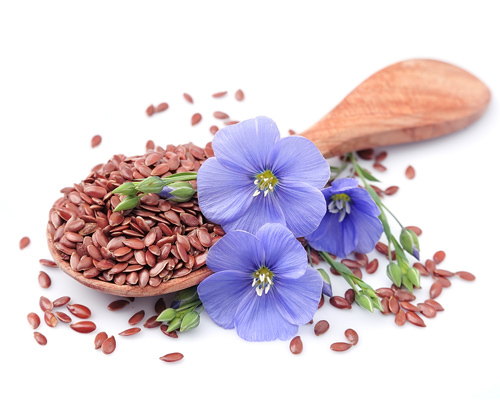 Flaxseed is the richest plant source of alpha-linolenic acid (ALA), an essential omega-3 fatty acid. Essential fatty acids are compounds the human body requires for proper cellular function but cannot manufacture and must be obtained from dietary sources. There are many important fatty acids but there are only two real essential fatty acids: ALA, an omega-3 fatty acid, and linoleic acid (LA) an omega-6 fatty acid. Once consumed, the human body converts these two essential fatty acids into other fatty acids necessary for proper cellular function. 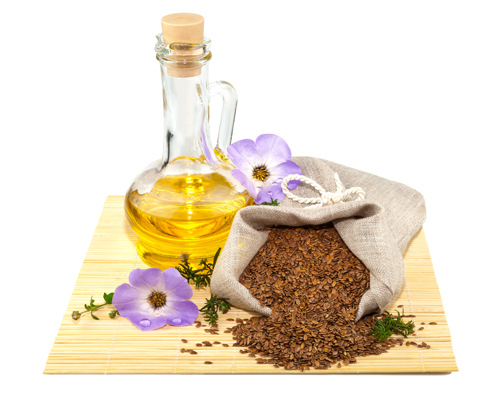 Ground flaxseed and flaxseed oil are excellent dietary sources of ALA with a favourable omega 6: omega 3 ratio. A diet deficient in omega-3 ALA will cause the body to compensate by manufacturing similar fatty acids from the readily available omega-6 LA. It is very rare to encounter a dietary deficiency in omega-6 fatty acids, especially in Western nations, because LA, primarily in the form of corn, vegetable, and soybean oil, is used in our foods. It is common to find dietary deficiencies in ALA, and the other important omega-3 fatty acids. Ideally, omega-3 and omega-6 fatty acids should be consumed at a ratio of 1:1 or 1:2. Consuming ground flaxseed offers the health benefit of lowering the triglyceride, total cholesterol and low-density-lipid cholesterol (LDL) content of blood. High levels of triglycerides, total cholesterol and LDL are recognized as risk factors for heart disease. 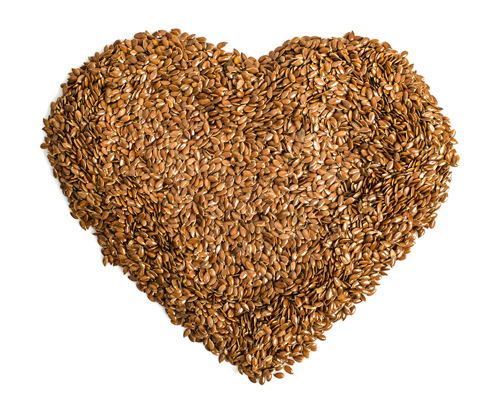 The omega-3 content of the ground flaxseed competes for enzymes and helps to reduce the amount of omega-6 fatty acids that can be converted into inflammatory compounds contributing to heart disease. The fibre of ground flaxseed also binds to dietary fats and sugars, helping the body to expel these compounds before they can be absorbed into the blood. Fibre extracted from flaxseed is an excellent source of supplemental dietary fibre. It helps to reduce appetite by creating a sense of fullness, shortening the amount of time for stool to pass through the gut. The mucilage fibre also binds to certain nutrients in the digestive system such as fats and sugars, preventing them from entering the bloodstream, beneficial for those living with conditions such as the onset of type II diabetes and heart disease. Flax mucilage fibre helps to reduce gut inflammation, good for those who suffer from digestive disorders such as irritable bowel syndrome, colitis and Crohn’s disease. 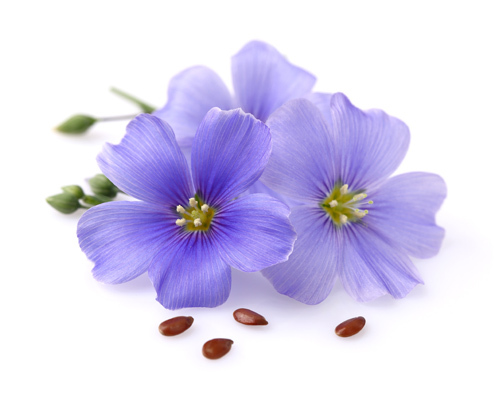 Flax is gluten free, it is also a suitable fibre supplement for people with celiac disease. By reducing inflammation in the gut, fibre may also contribute to lowering the risk for colorectal cancer.